Hi, all. I’m Jen from Domesticated Nomad and I’m excited to be here at House of Hepworths. Hand a camera to a six year old with a three year old who needs to be in every picture, and, yeah. So, my husband and I, after five states in ten years, finally bought a house. No more nomadic life. Much of my blog is about projects around our house, especially the stuff they never let us do in rentals. Paint wasn’t enough for me, I wanted texture. So in my living room I created a focal wall with burlap. I make up for that by drawing on my walls with sharpies and other such fun. I was also an art teacher (seems like a former life now!) and so every Tuesday I offer a new Art Adventure. Step by step lessons for kids’ art projects you can teach at home. 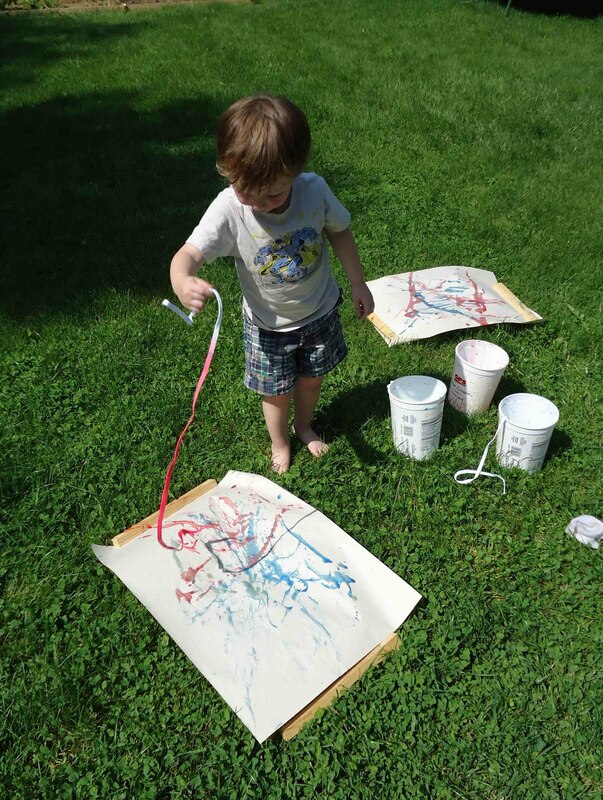 We’ve made sidewalk chalk paint, textured paper collages, and even learn about master artists like Jackson Pollock and made our own action paintings – messy good times. Domesticated Nomad is a little home DIY, a little craft, some art, tips, tricks and hopefully a dash of inspiration. Sometimes funny. Always real. Thanks, Allison, for having me. I hope to see you in my little corner of blogland.